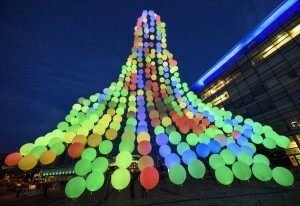 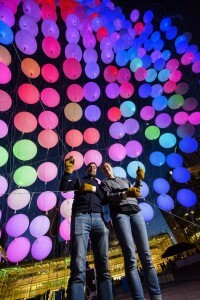 Mini Burble is a ten storey mobile sculpture made of 300 inflatable balloons, each equipped with sensors and LEDs illuminating the structure in dazzling patterns of light. 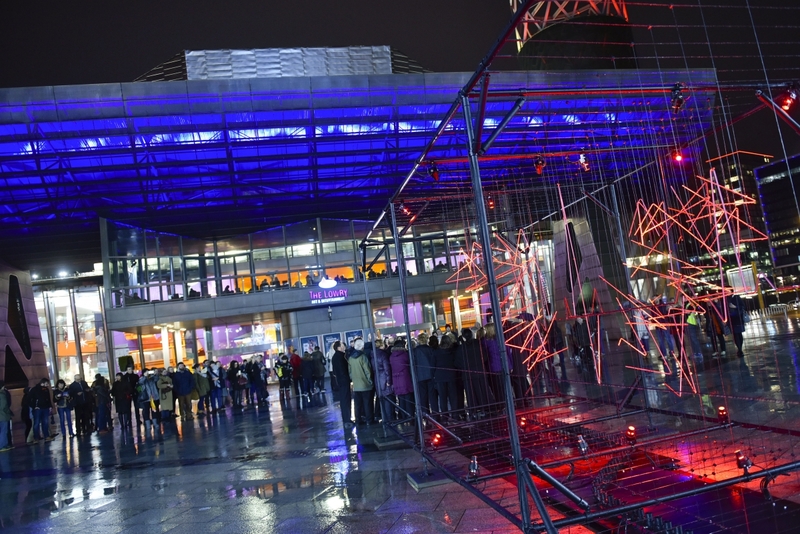 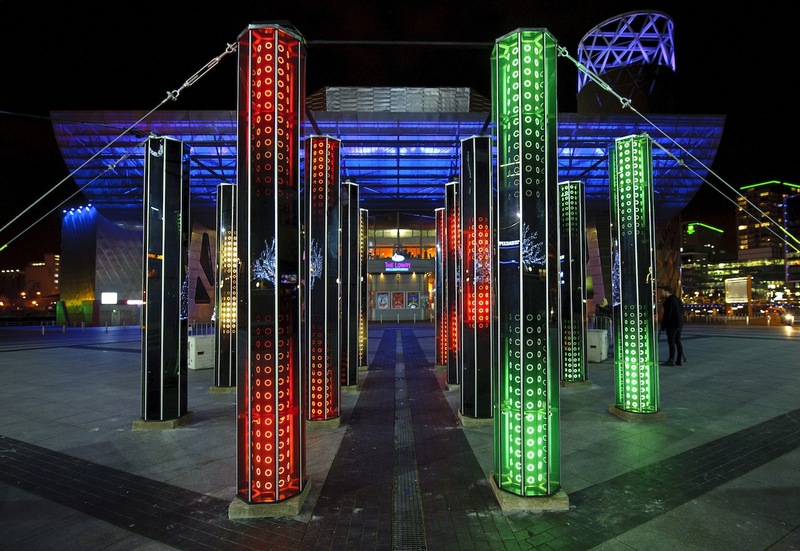 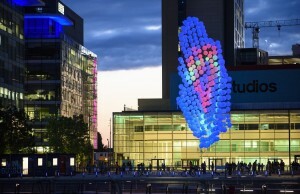 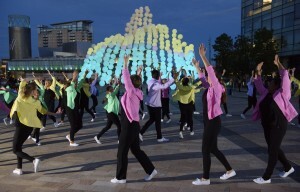 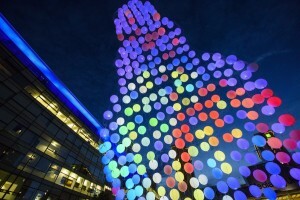 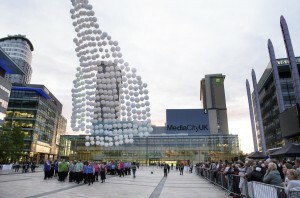 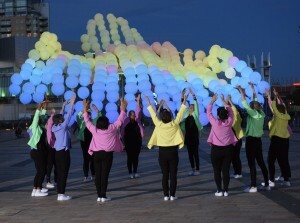 For five nights, Mini Burble changed the Salford skyline, providing a fluid, organic contrast to the modern buildings of MediaCityUK as it swayed in the wind and changed colour. 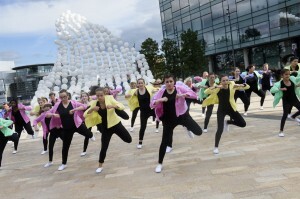 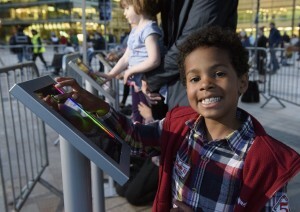 Attracting crowds of people from across Greater Manchester, people were invited to paint the sculpture in a collaborative effort, using an innovative Mini Burble app. 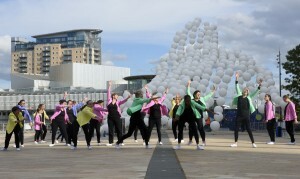 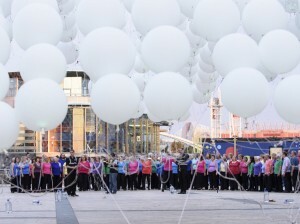 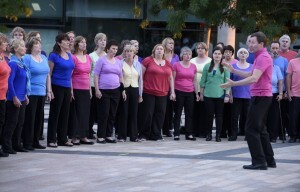 Mini Burble also included performances from Honour Choir, a 120 strong gathering of local residents in a celebration of community and song; Embrace by Boy Blue Entertainment, a specially commissioned dance performance for dancers of all abilities, from ages 9 to 70, responding to the multi-coloured, fluid nature of Mini Burble; and the return of Stuart Childs free digital art tech-maker stall.